Did you know that on average Americans spend more than $300 per year on toys. That’s per child. I hear you, that’s a lot of $$ spend on plastic (mostly). 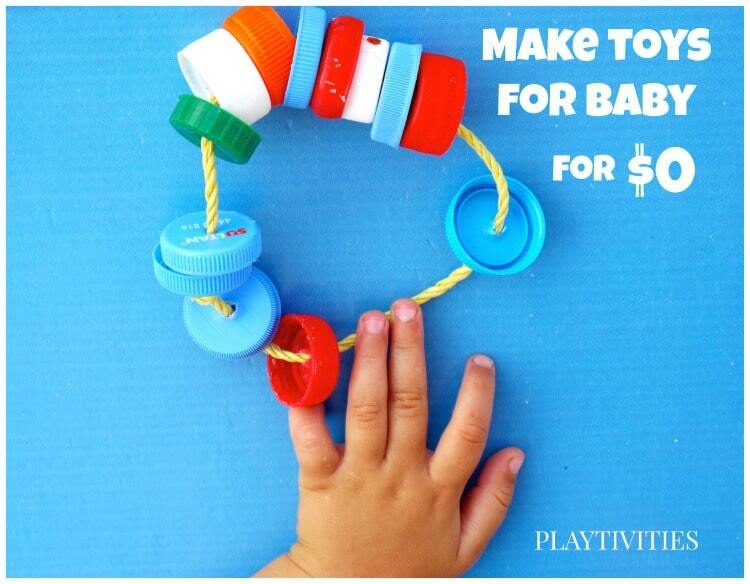 So before you hit the toy store to buy another Toy for baby consider making one. Don’t you just adore those moments (of course you do!) when a baby laughs and giggles so hard that his eyes have tears and the hands are going up and down super fast. (I know I have see this a lot). 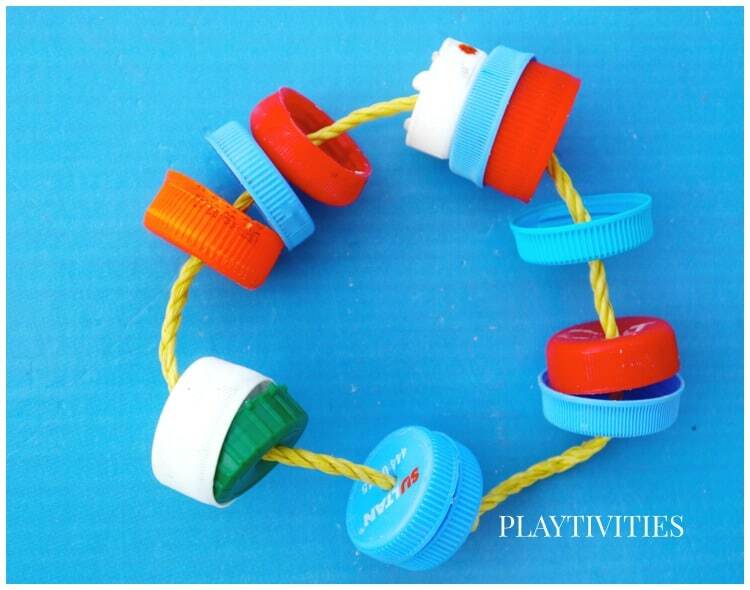 This homemade toy for baby is great because baby can hold it in his arm and make some noise with those bottle caps. He can pull those caps back and forth on the rope. It’s very colorful and it’s good to sharpen your teeth on occasionally. Before you start, make sure to wash and dry those bottle caps really good with warm soap water. There is a chance this toy will be going to someone’s mouth. Also check if there is not sharp edges on those bottle caps. 1. 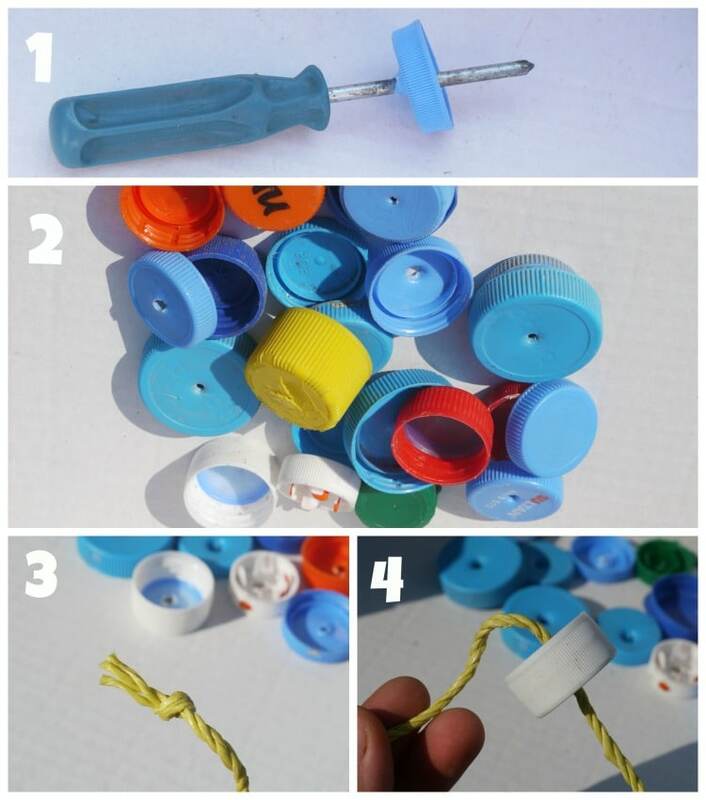 Using screwdriver make holes in the bottle caps. 2. Make sure they are bigger than the width of the rope so the caps can slide easily. 4. Pile the caps on the rope. I made couple variations of this toy. One was with two ropes tied together on top and the bottoms were hanging loose and another one was made like a bracelet: one rope with tied ends together. Experiment and be creative. There could be many variations of this toy. 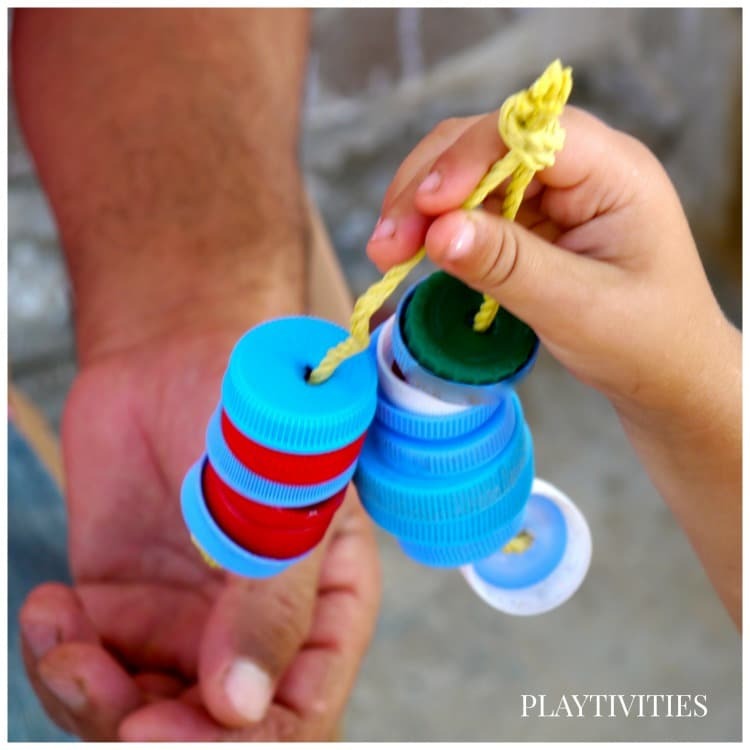 It might be the very favorite toy, just because you made it with a lot of love and thought. This is the second part of my short Homemade Toys for Baby series. 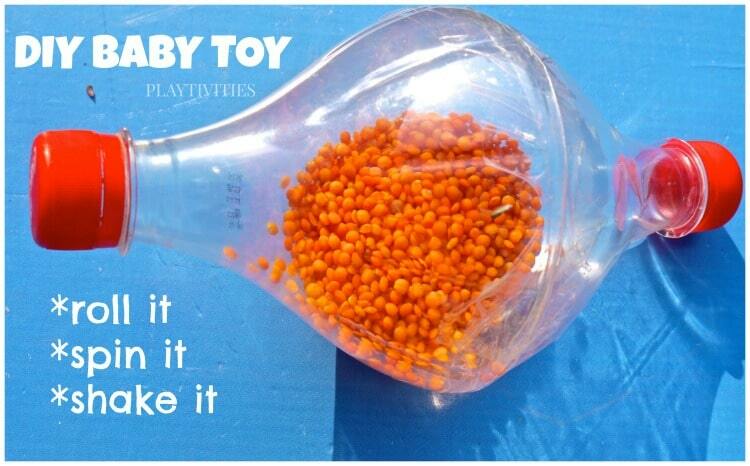 Check out the 3 in 1 Homemade Baby Toy. 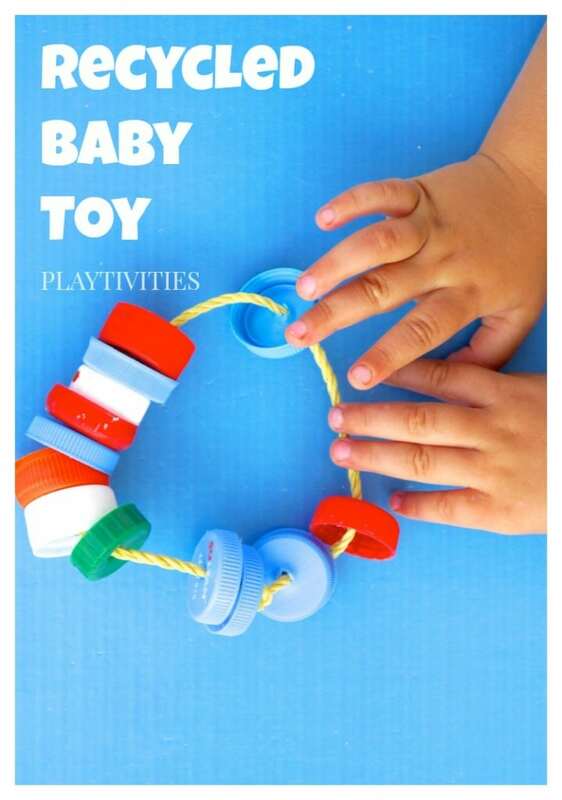 And if you have older kids make sure to check out my Homemade Toys category or check out my Homemade Toys for Kids Ebook. 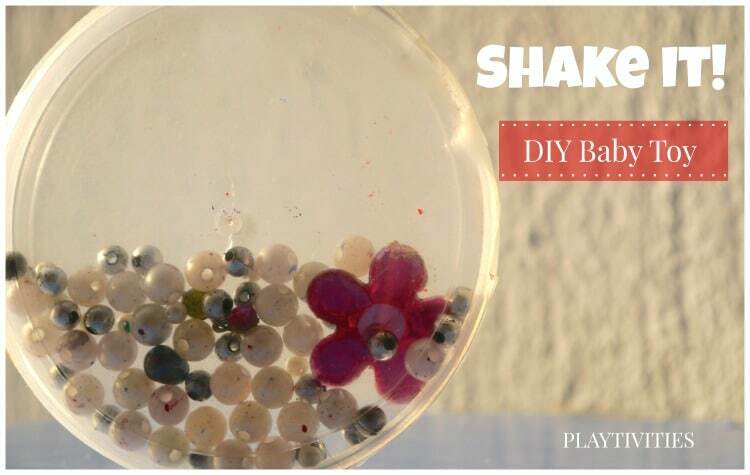 I find that homemade toys like these are some of my kids’ favorites! What a great way to use up bottle caps. I’m going to try this one! Thank you Emma! I hope you guys create a great toy!